Hermit Crab Central, a website that belongs to Tetracolor and I, has had a few recent updates that I would like to share. First off, the creation of a page called "Harvestables" occured a few weeks ago. This page deals with foods able to be harvested in the wild or grown organically in a pot or garden. 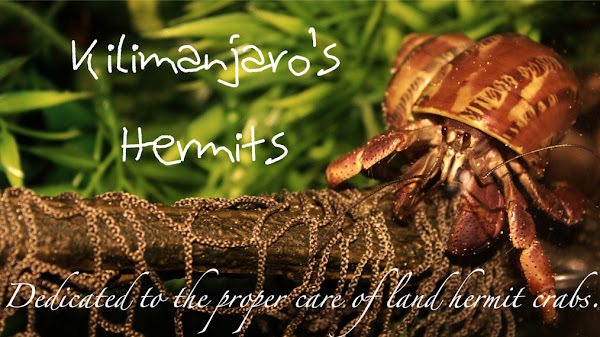 It's a great page to give your hermit crabs more variety in their food. Additionally, we have created a page called "Species ID". It is a guide to figuring out what species of hermit crab you have. The Species ID page can be accessed through The Different Species page. Finally, I would like to take a small segment of this blog to announce that Mount Kilimanjaro's food store will not be opening for a considerable amount of time. We are not established or ready enough to begin the sale of our products. In the mean time, you can always email us at [uHarvest@live.com] for any recipes or help you may need in the nutrition area.